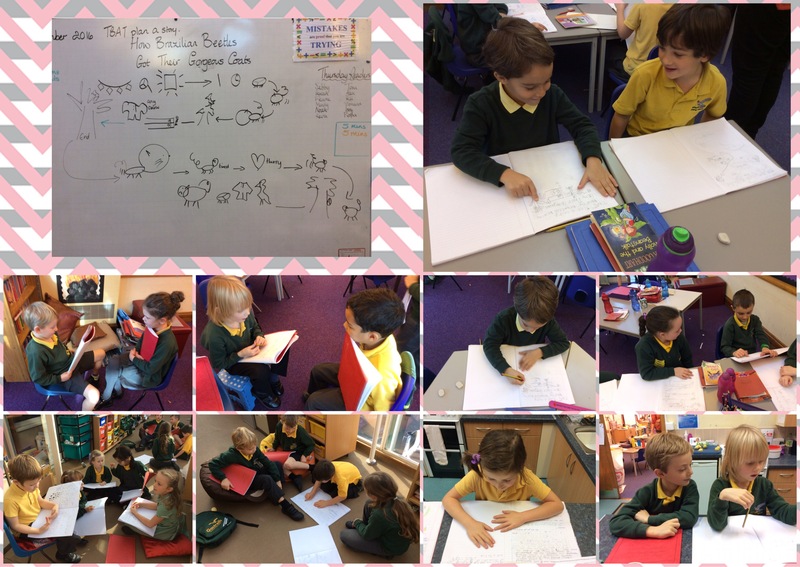 In our writing we are working on a traditional Brazilian tale How Brazilian Beetles Got Their Gorgeous Coats.To help Ospreys with their writing ,they are making picture plans and telling each other their story.Ospreys are developing their stories through talking to each other and in small groups. Testing our tastebuds and making fruit pizzas with Caterlink. On Thursday, 10th November, Sparrowhawks assembled in the hall to meet staff from Caterlink. 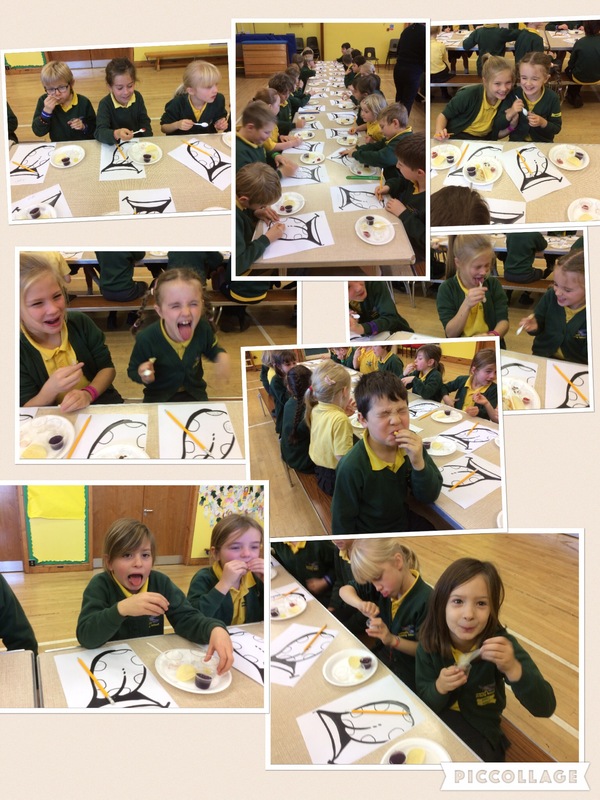 Children tried different kinds of flavours, to see if they could note where in the mouth different tastebuds responded to different kinds of flavours. One of the flavours was the sour acid of a slice of lemon. 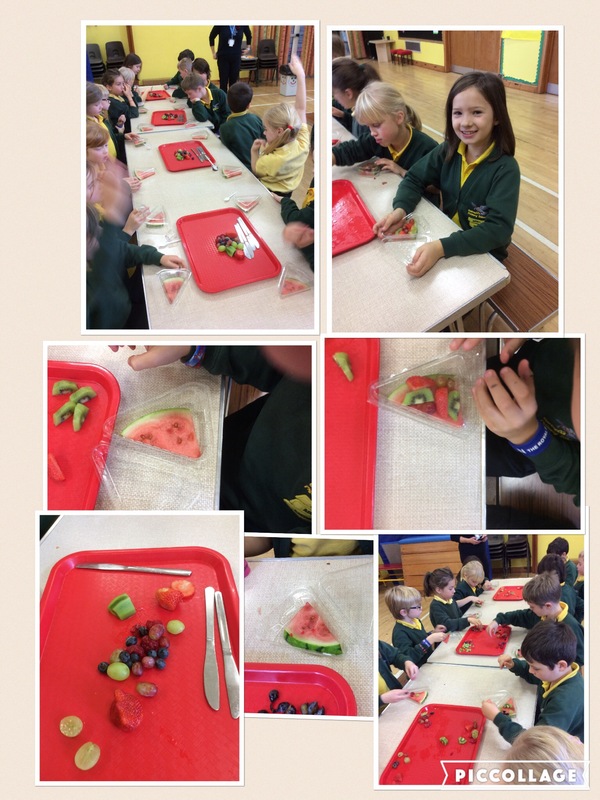 pupils then made their own fruit pizza, using a watermelon base, with different fruits arranged on top. We had a great time at the cinema today watching Finding Nemo! There were lots of children from other schools there but we were first to arrive so had the pick of the seats! We decided to sit right in the middle in the ‘posh’ leather seats. Here we are waiting for the film to begin. 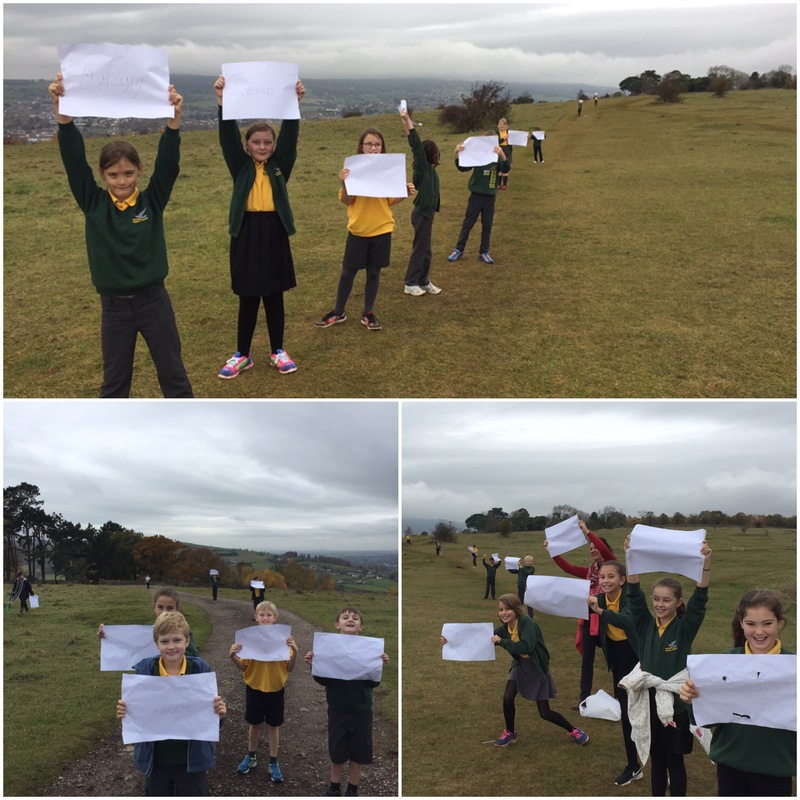 On Wednesday Eagles made their way to Rodborough common to see what our solar system would look like if it was scaled down to 100m. The children used a trundle wheel to measure the distances from the sun, all the way out to Pluto (we know it’s not really a planet) which was 98.6m away from the sun. 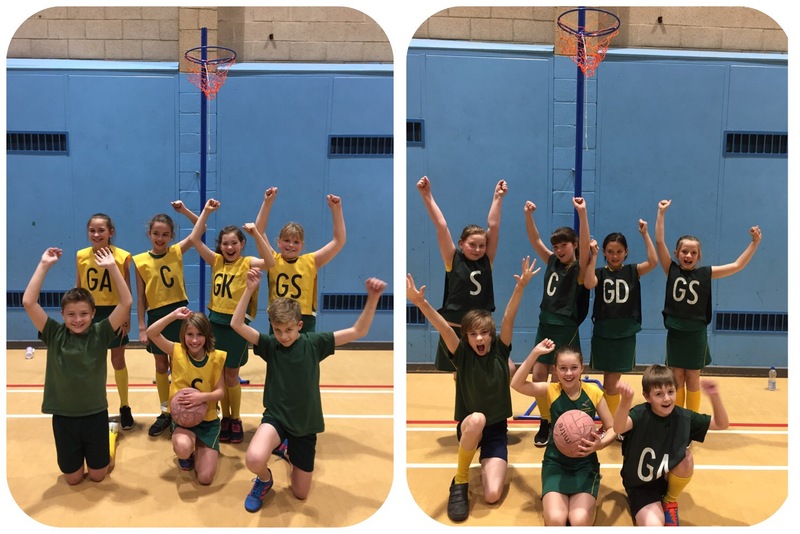 A huge well done to both our A and B netball team who both finished undefeated in tonight’s Stroud district group stage and both qualified for the final! Our A team topped their group winning all 4 of their games without conceding a goal. Whilst our B team finished a close second in their group with only goal difference edging them out of top spot. Well done to all the children involved who played with enthusiasm, skill and passion. Roll on the final where the two teams will face other group winners and second place finishers as well as each other.